I always want to shout out to everyone- This is the time ! These are the moments to create everything you want in your garden for spring, right NOW ! 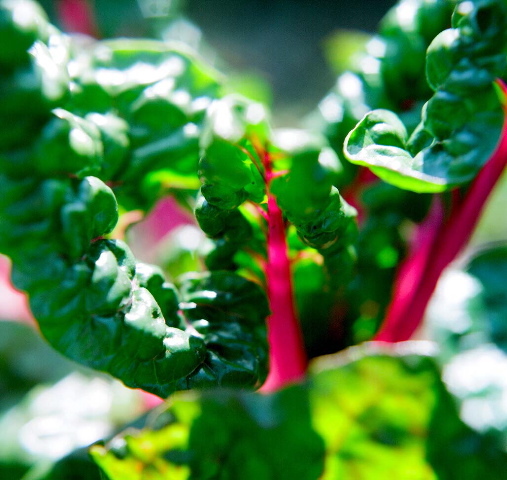 What you do right now determines how your garden will do and look all year. It is time to plant, and transplant new shrubs and bare root trees and roses. It’s also when balled and burlap conifers get shipped from Oregon and Washington. They are available right now in your nurseries. Think hard about how you want your garden to look this year. Are there plants you want to add ? Divide ? Is the winter form and structure pleasing in your garden ? Do you want more evergreens ? Are you happy with the shapes and heights of your plants ? Do you need help pruning ? It’s time to cut back, prune, fruit trees, roses, all deciduous shrubs and trees. 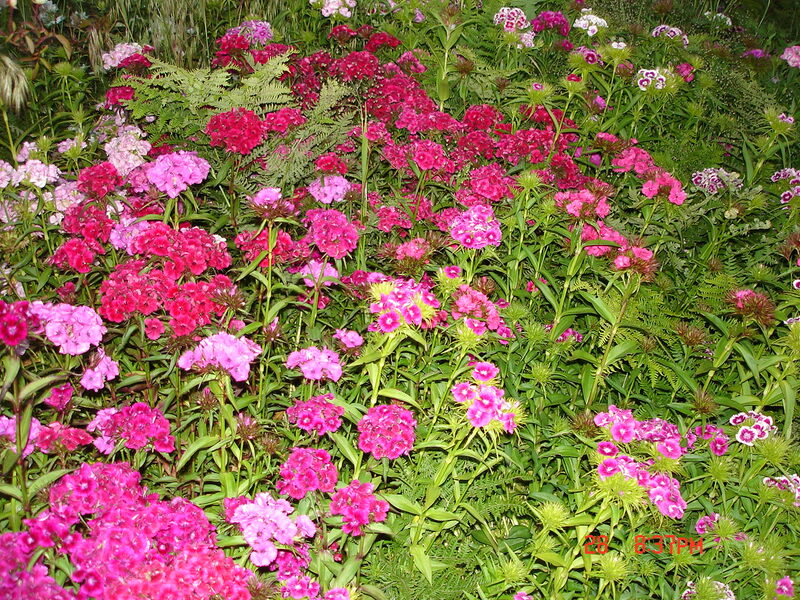 I’m planting and dividing perennials for spring and summer color and bloom. 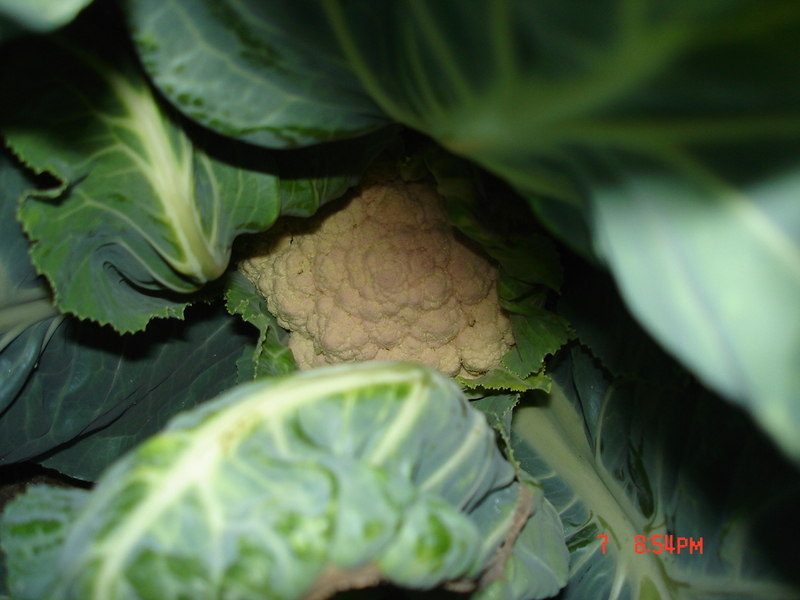 In our Northern California climate, growth usually begins in early February, seeds can be ordered for planting then. Mulching all the beds with a thick layer of compost ( amending the soil should be done at least once a year). I often put chips all over the perennial beds and this thick mulch, now too. 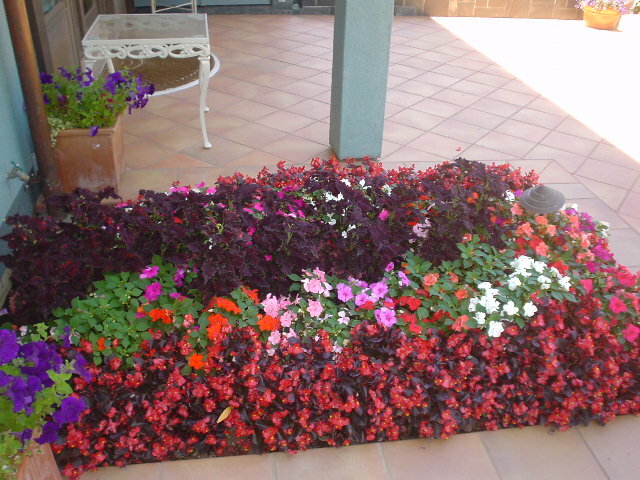 Or if I have spring annuals in place mulch those beds too. Fruit trees benefit from a thick layer of compost, then chips just make sure the base is not covered. The compost helps decompose any fungus trapped in leaves on the ground. I also start putting out an organic all purpose fertilizer now. I like the California Organics 7-10-7 . I only need to apply it once a year because of all the compost I also add. You might want to put in irrigation under the chips, so you don’t have to see the unsightly lines, that has to be done now too. If you’re really on top of it you can check irrigation, but I usually wait till March for that. On our homestead, we do a lot of cleaning up with fires now. 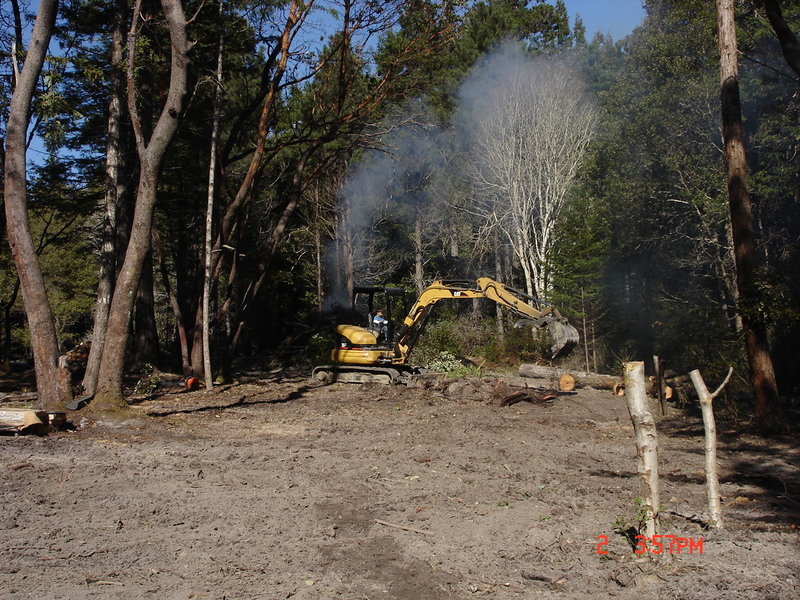 Areas where we fell trees for firewood, or trees just fell, can be handled easily this way. This is the time of year that many things are done to achieve your garden goals for the following spring and summer Pruning , cutting back perennials and shrubs sets the garden for the coming growing season . Deciding on the sizes you want the elements in the garden to be is one way to look at pruning. It’s easier to access deciduous shrubs and trees when they are dormant,you can see the branching structure better. Look to where you cut them last year and how much growth they put on this year.Cut accordingly. Learning pruning is a lot about observation. Transplanting and planting plants at this time is good as well,especially deciduous plants,shrubs,trees, even large roses can be moved. Really look at your garden as a whole, maybe even blur your vision to decide if you like the sizes things have become. You have the choice to prune shrubs whatever shape you want and they can live at. When you are learning pruning look at other peoples plants, shrubs and trees. Look at mature specimens. What size do you want to keep it? What size does it want to grow ? Even large plants can be kept small,but they will try to get to their normal size.Plant accordingly. I’ve been doing a lot of research into apple and pear problems . Last year because it was so wet the apple scab really affected our trees, and others. This is a fungus which we are particularly susceptible to, living in a coastal environment. Fungus thrives in 50-80 degree weather, we typically rarely get higher or lower than these temps. Preventative measures to take are to really clean up last years debris under the trees, for this carries the spores from the old leaves to the new leaves. So you rake, but look to see how much more there is to do to get it really clean, leaves not dropped or small dead apples. Then the best method to me seems to be a spray to start the tree off clean in the coming year. The more I research the more I think I’ll do a copper based spray at my house , mostly because I know my trees were infected last year and I think something serious needs to be done to clean them up. I’m going to spray an organically approved copper/ lime spray. With neem oil, another organic fungicide, but it’s also a spreader sticker( usually an oil which helps hold the spray on the tree even with some moisture). The spray needs to be timed to when the leaf shoot starts to come out. Then ten days ( five if it rains then) , and another ten days hopefully finishing with the petals off the new fruit. I want my trees to start off clean so I’m going to do one spray before that, early on in the next few weeks. 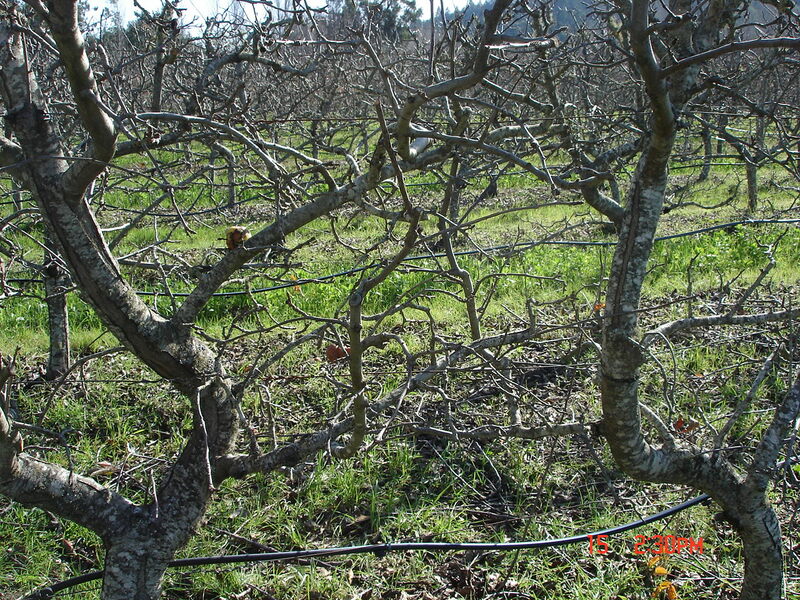 Usually the trees should be pruned first before spraying, so it’s easier to spray, less to spray. Spraying needs to be done on a dry day with no possibility of rain for 24 hours . Then sprayed on a sunny , windless, morning that’s when the plants stomatas are open and they will take in the most. My garden beds change constantly, so half of them look empty right now, or they have very small plants. I’ve recently read that bio-intensive is the traditional way the French and Italians would garden in their small farms, as well. There’s always a bed getting harvested, composted, then dug and replanted in the next crop. A constant rotation of crops, giving a lot of choice in the selection of food. Eating primarily out of a garden and eating what is in season is fun but cooking has to get creative. Fresh herbs and constant rotation of plantings help this out. Try to plant many things even if it’s a herb like thyme edging a bed or chives. Lately we’ve been harvesting garlic and purple onions, red and russet potatoes. Favas will be finishing up and coming out next. I hope I’ve grown enough garlic this year to keep us through the year. I was so hungry for garlic by the time it was ready because we ran out about December. Also it’s hard to judge the quantity to grow of potatoes although easier here because they can be grown year round. Many other types of beans are going into these empty beds. Also more onions; I’m planning two 35×5 beds since I love onions and I’m a firm believer in starting any cooking project with an onion. Zucchini, crookneck, pumpkins, delicata, and acorn squash all are in and planted now. I’ve always thought that squash cross pollinated and that you had to spread them out very far away from each other. But I’ve recently realized that this only affects saving the seed. It will not come true to variety. But since I’m not saving squash seed… I planted a lot ! I’ve just been harvesting the last of the artichokes, then they get cut back, all the large stalks cut to the ground, then mulched with a thick compost layer, then they grow and produce again later this year. This is one artichoke that I cut back a few weeks ago-trying so hard to produce more fruit. These are my baby fruit trees that I grafted last January. Thirty three out of thirty six “took”. Mostly apples and a few prunes, one plum. I also have 42 olive trees I purchased last fall as rooted cuttings. They are also fun to watch grow. It’s so satisfying to see the abundance of nature in rooting or starting your own plants, not to mention a cheap way to get more plants and trees. 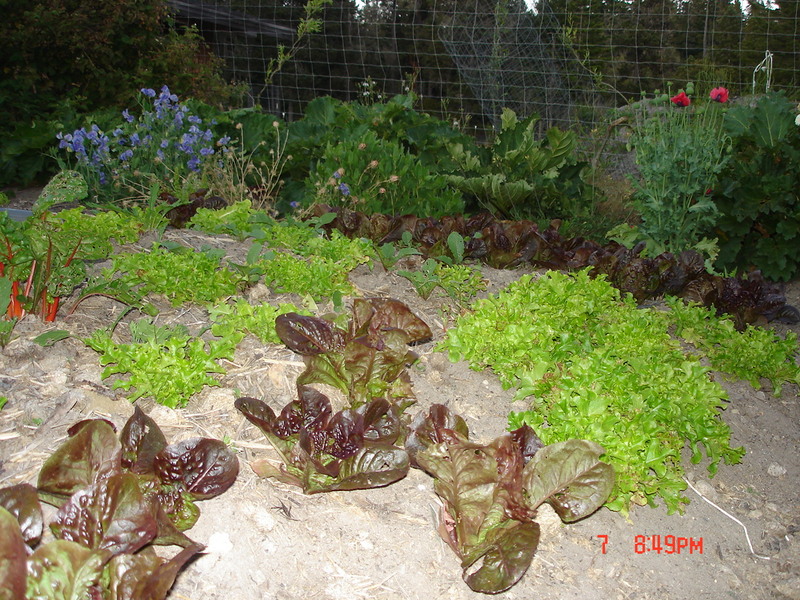 Otherwise summer on the coast of Northern California is not that different from what you can grow here most of the year. Cold season crops. I have a small couple of rows of tomatoes, the squash, cucumbers and beans are the exception that will make it during our summers. 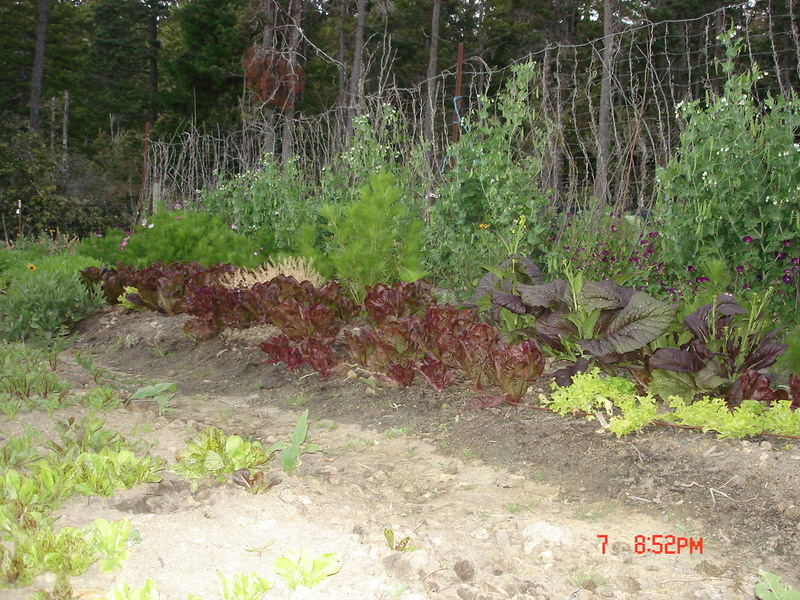 Otherwise we are still growing lettuce, cauliflower, kale, broccoli, onions, potatoes, favas, peas. Most of my garden beds have flowers growing on the sides of them. Most are volunteers. I sell some of these weekly to our local florist. Last night eating a particularly wonderful fish chowder, fish caught by my daughter’s boyfriend, potatoes gently dug from under the plants, fresh purple onions, green garlic, parsnips (some of many currently), chopped parsley and fresh thyme. Then accompanied by one of our brick oven baked naturally leavened breads ( we baked 80 loaves yesterday), and followed by a slightly tart rhubarb pie ( none of those sissy strawberries). I think how rich my life is . Then my husband pushed around some burn piles ( yes, it’s still raining and wet in California in June !) with his backhoe for our neighbors, and came home with some fresh salmon ! Yeah ! 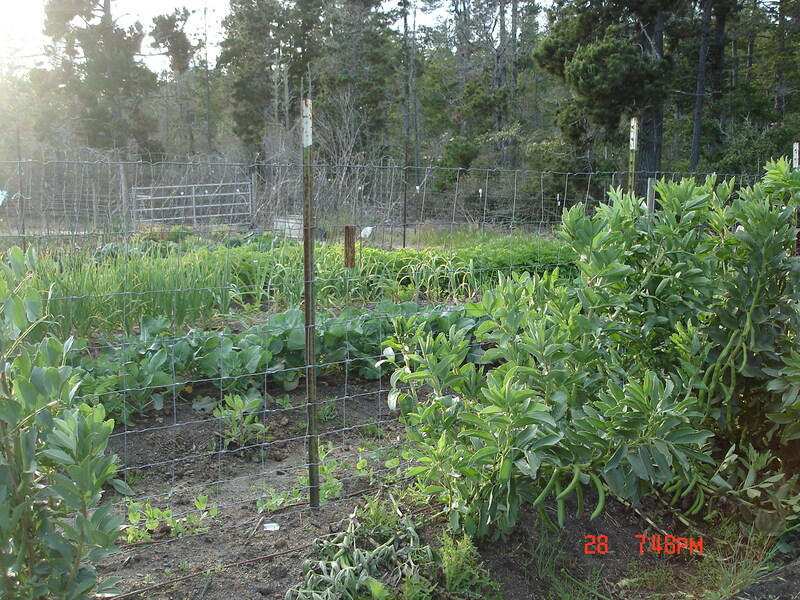 The abundance is arguably coupled with a lot of hard work, but I feel so proud when I look at those peas climbing up the trellis and the rows of growing veggies. But yes, my love of good food also motivates me. Thanks to all the good cooks I know who have inspired me. As the garden here slightly matures and the very small plants I’ve put in as permanent or perennial shrubs and trees mature and fill out, it feels easier like some momentum has been gained. My roses, started from cuttings are beginning to cascade on the fence. 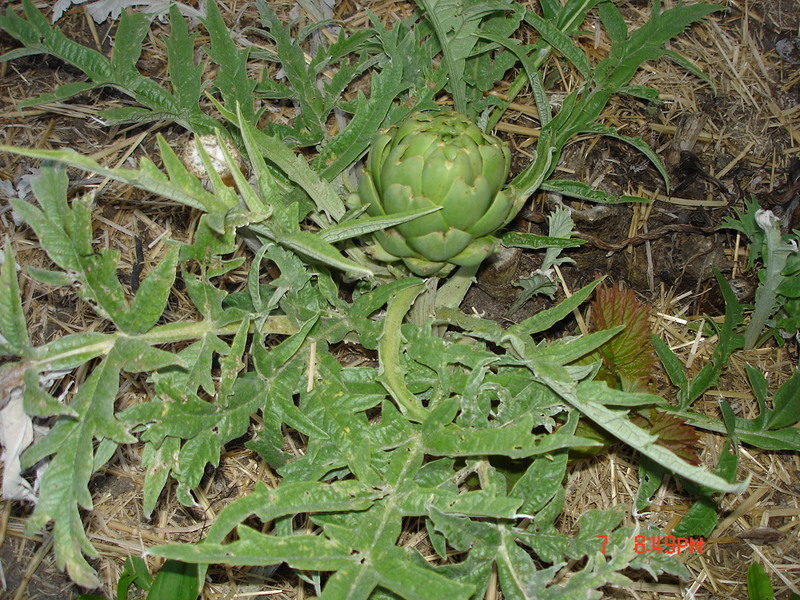 The artichokes started from seed are producing quantities. The asparagus started from seed was harvested for the first time this year ( three years before the first harvest) . The rhubarb is getting to be a big plot, helped out by lot’s of compost and did you know rhubarb love LOT”S of water ? Some of the fruit trees have quite a few fruits on them and are starting to look like trees ! Sharing this with others, getting invited to come see my 90 yr. old neighbor’s boyfriends garden who sends us over glorious cauliflower, while we drop off bread. Feeling a sense of community and tradition. As my great and wise girlfriend who grew up on a dairy farm told me , “school was never the most important thing”. 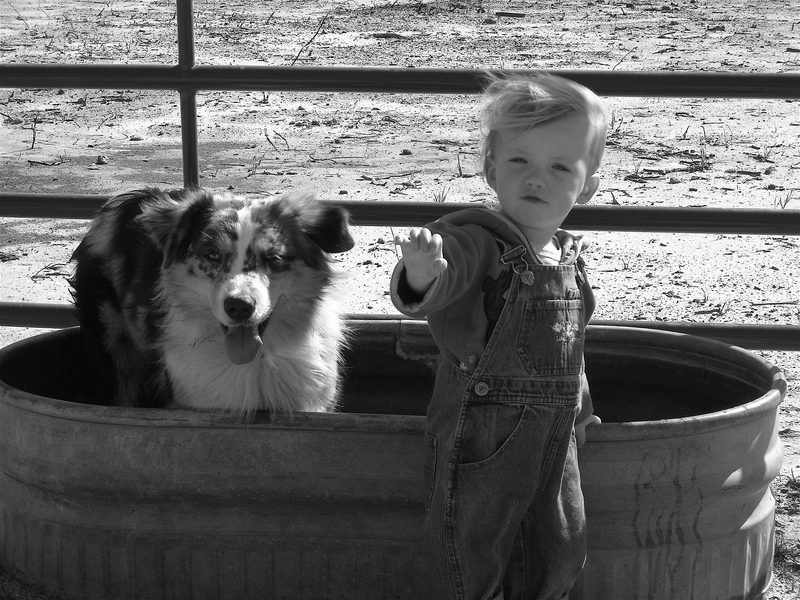 It was the family, the farm, being a part of that, having an identity in what a farm really means to a community. Farming is a passive revolution. Bringing back rural America and collaboration instead of isolation as our material world has fostered. Interdependency , compassion, neighborliness, sharing, all these things are why I farm. 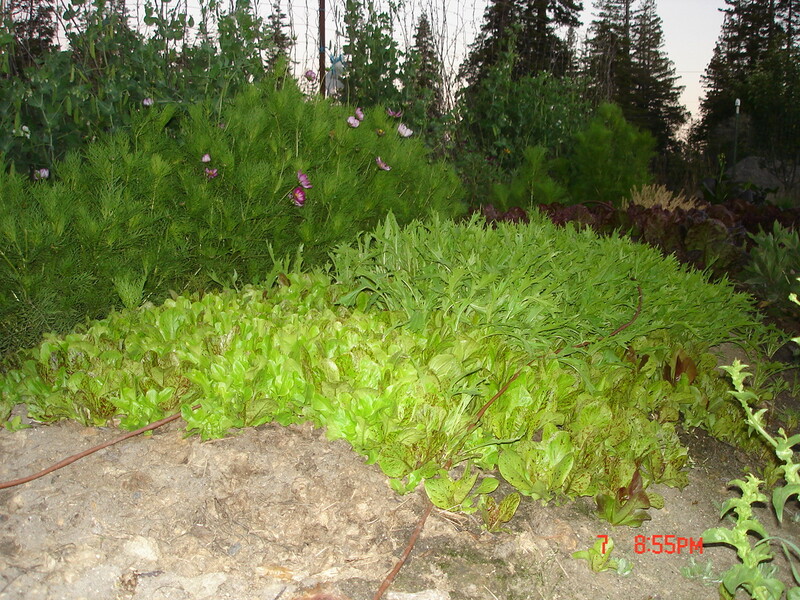 As the garden matures and perennials divide and spread, it becomes harder to just rototill through a bed. I find myself forking more and more of the beds this year. I think only three out of twenty, forty foot rows were rototilled by my husband this year. 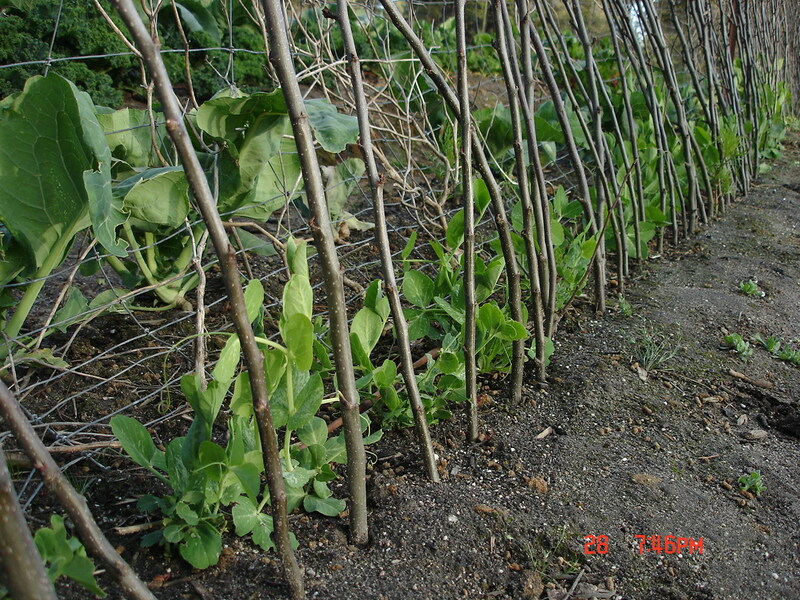 The rest had compost moved by wheelbarrow, spread thickly, then forked in each long row. Planting is the anti-climatic easy ending to lot’s of work. The first few years of our garden here, the soil was so bad, since we started with forest soil, that we had very few weeds. Now as the soil improves, the weeds , really grass( since we have animals, have to remember it’s fodder), have been giving me and my hands a run for my money( any?) . So first was lot’s of weeding, then compost, then forking, then planting, irrigation, and fertilizer. There are beds of onions, tomatoes, garlic, leeks, broccoli, kale, cauliflower, peas, fava beans, one of some small olive trees( 26), one of newly grafted fruit trees(34), rhubarb, asparagus, raspberries, boysenberries, strawberries, another of garlic(didn’t have enough last year), red potatoes, russet potatoes, yukon gold potatoes, lettuce, basil, zucchini, spaghetti squash, banana squash, french beans, lemon cucumbers, mescalin mix. 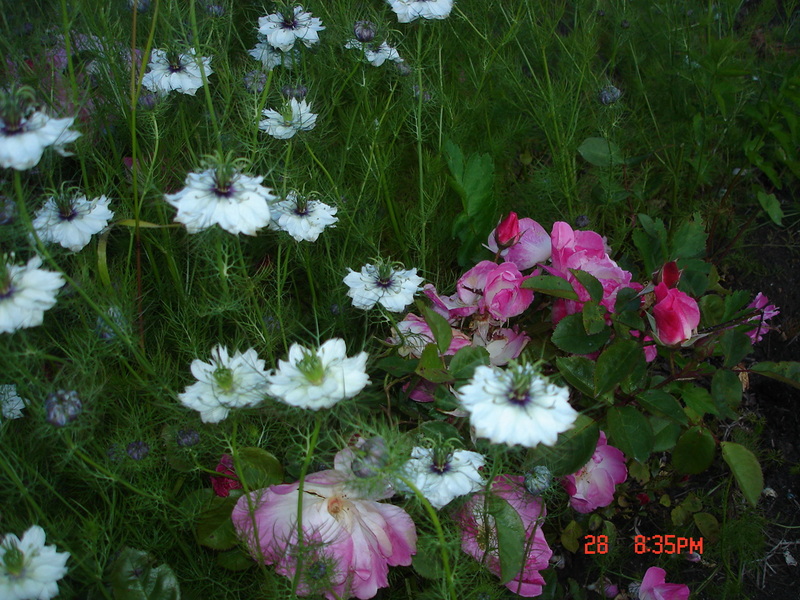 Then there’s a few just full of flowers bachelor buttons, sweet william, roses, nigella(love in a mist). Down by the house I plant more cutting flowers caliopsis, cosmos, sunflowers, foxgloves, alstromeria, bearded iris, and more flowering shrubs that we will be able to cut for the flower industry some day. I need to try to keep everything healthy and sequentially plant more, lettuce, beans, cauliflower maybe another row of potatoes and one more type of squash( crookneck) and sunflowers. Since were on the coast it doesn’t get hot enough for summer plants, tomatoes, peppers and eggplant are a struggle. Then I need to keeping up with weeding and harvesting then processing. I look around and when I see everything blooming and growing well, I know more needs to go in, to keep the bloom going, the harvest going. Here in California where it’s green on all the mountains, daffodils are blooming and so are early shrubs; Daphne, sarcocca, fruiting trees, forget-me-not’s. It’s starting to be time to project what the summer garden will look like. It doesn’t matter how much you’ve planned, how many seeds you’ve ordered. The next step is real life and the best laid plans don’t always work out. Garden areas might not be rich enough for the plants you’ve planned there. A new favorite might over-ride your decisions. Maybe too wet. Maybe a perennial you’ve forgotten about is filling up your spaces. 1. How much can we really handle? 2. Are we going to try to grow veggies in another warmer location this year as well as here? 3. Since I lost my job, am I going to focus on more landscaping work instead of the farm ? 4. We are still building infrastructure, should we focus on that? Plus earning the money to fund that ? 5. Sell at Farmer’s Market this year ? 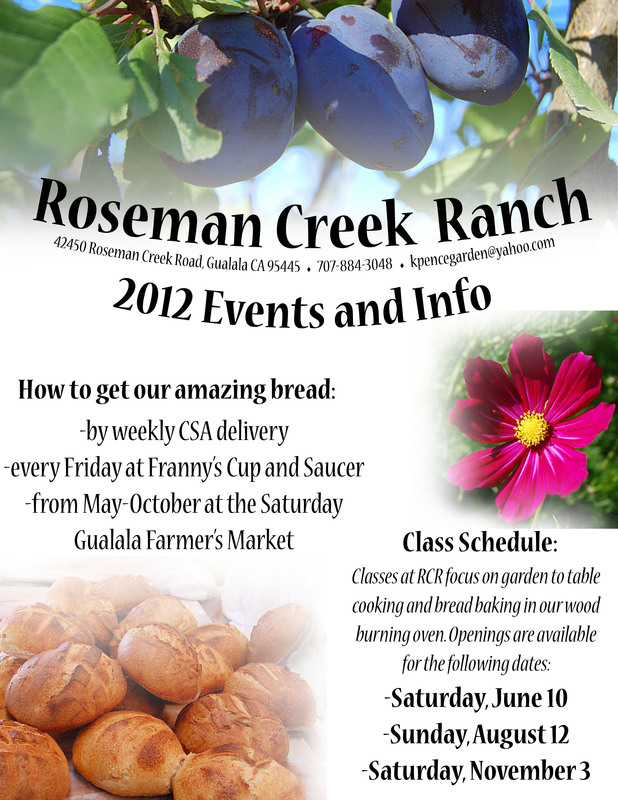 Or just sell CSA vegetables ? We have some momentum and I want so badly to inspire everyone to grow vegetables and to just garden! . I’m not sure what route to take to share . I’ve talked to our high school principal and found out we could have a field trip come here. The kids can pick food out of the garden, to put on pizza’s we could bake in the wood fired oven. Plus a garden tour. This is good, I could extend the invitation to the elementary schools as well. I’d like to teach classes or just garden with a group. The horticulture program at the school was so very modest and could be so much more, a local CSA, animal husbandry, food for their kitchens. How do the kids get inspired to see horticulture and agriculture as a real livelihood ? How do we make gardening more user friendly ?? Well I went with more friends to the second lesson on biodynamic orchard practices and pruning. This day started at The Apple Farm http://www.philoapplefarm.com/ with Tim Bates telling us about the most beautiful compost and how the innoculents work. Luke Frey http://www.freywine.com/ demonstrating the method of integrating them on a specific grid all around and on top of the compost pile. Then on to compost tea and the machine and technique to make this. He no longer uses any other spray on his trees. 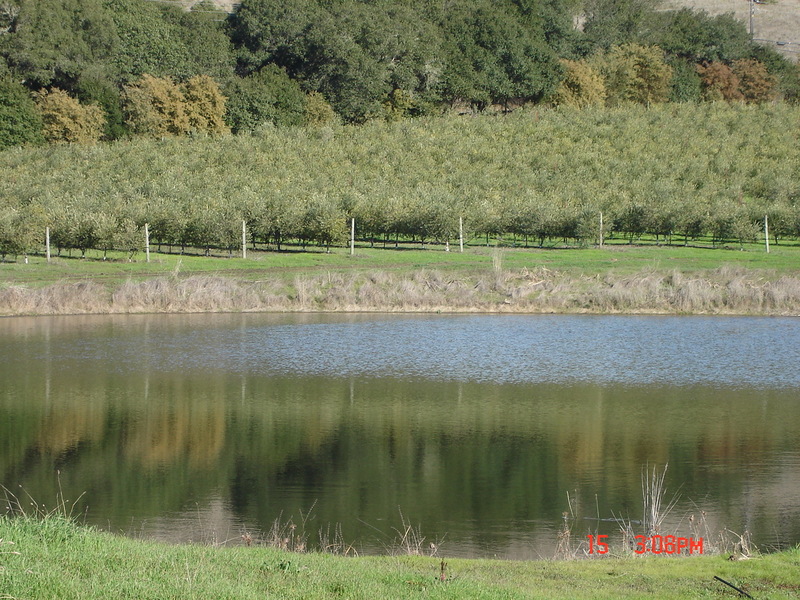 I saw the trees last summer and the orchard glowed with life. 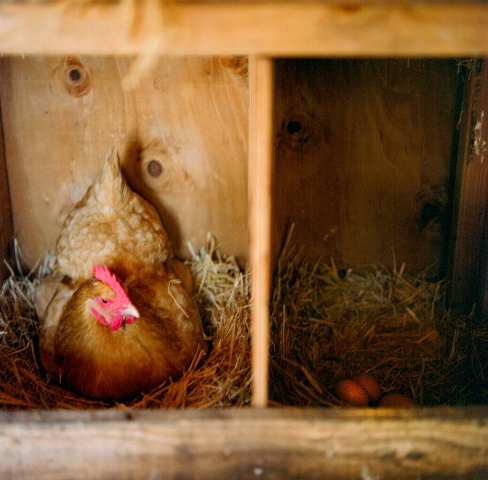 Biodynamic practices are everything I believe a garden should be. 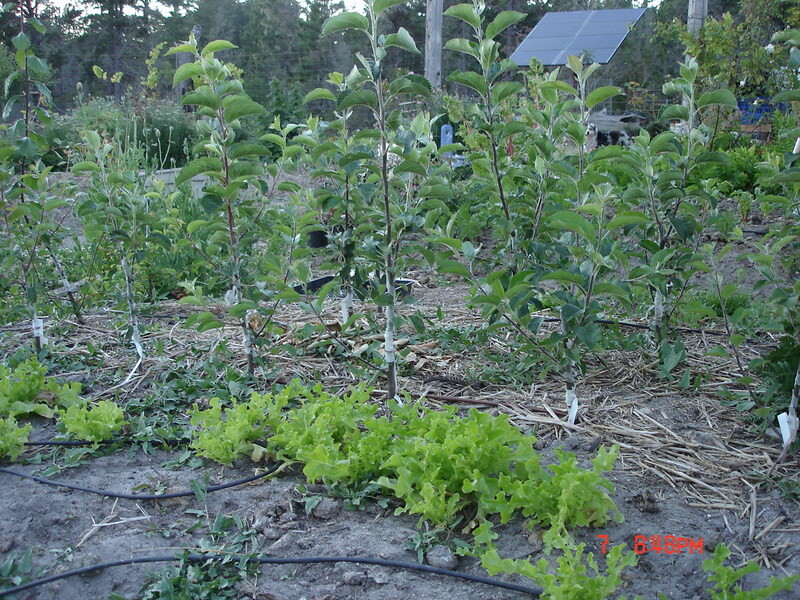 Live water, live soil, healthy compost as fertilizers. 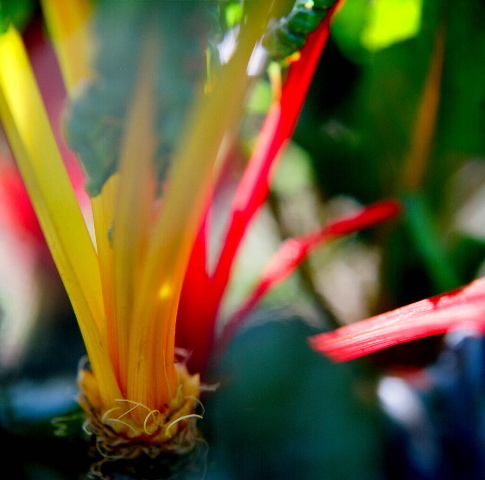 Plants and fruit that impart their live-ness to the ones that eat them. Wholeness practiced. The Apple farm has made a success of itself by direct marketing it’s apples as cider and juice. Also by teaching cooking classes, from vegetables grown by Tim and Susan Bates’ daughter Sophia. Plus some small cabins to lodge cooking class participants. This is farm is so beautiful and such a great environment. They also built in respect for the land in every form and detail. From removing their large grandfathered in, creek pumping, easement. Thereby protecting waters downstream.At a great expense to themselves they built a huge reservoir that now provides their carefully balanced and efficiently used irrigation water. 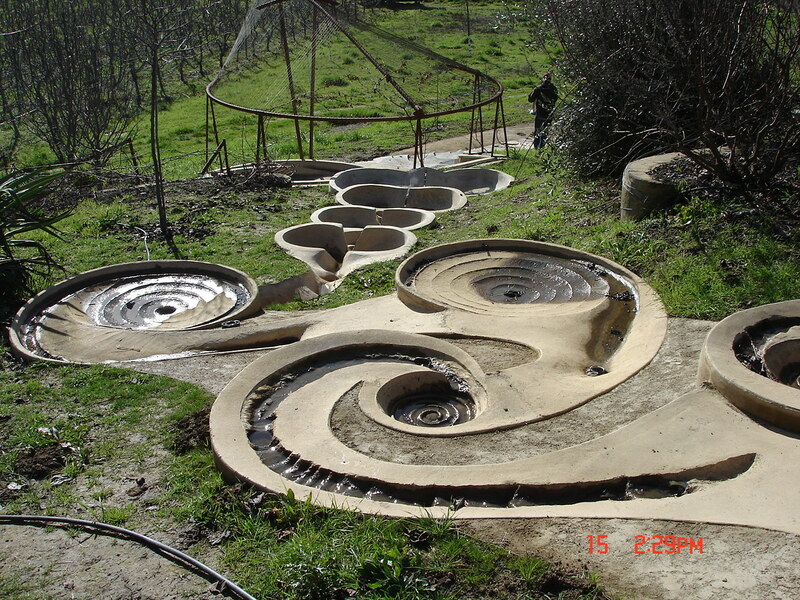 Flow forms were integrated into the landscape to energize the water and the environment. A beautiful shape in the middle of their garden was not planted but represented the mother, heart, earth energy. All of us were profoundly moved by this garden. I can’t thank the Tebbutt’s enough for creating this marvel in the world. Plus allowing us to come and be inspired by it. I have this confusion about what the difference is between a gardener and a farmer? I’m not sure that people in Europe would say a gardener is not a farmer. 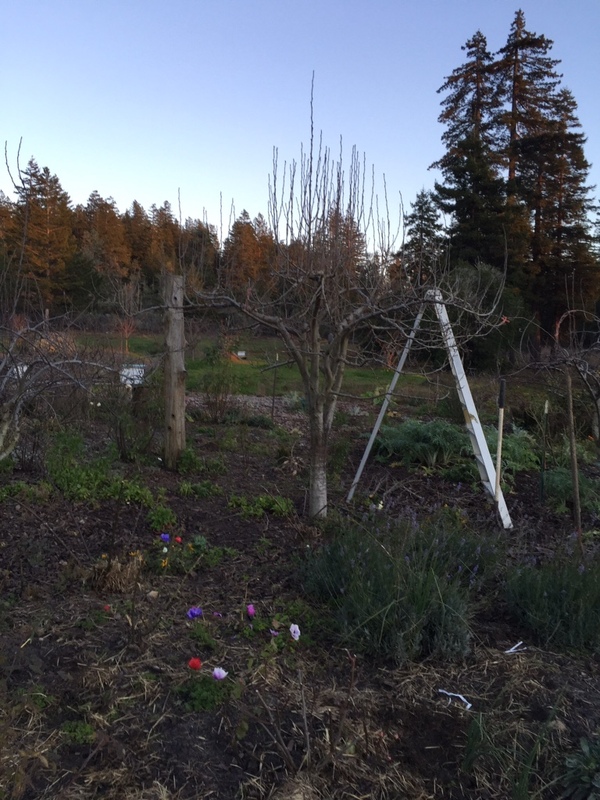 I’ve maintained 4,000 fruit trees as a “gardener” not a farmer. Now that I’m choosing to primarily grow vegetables the job title has changed . Why is this ? I can still grow flowers and be called a farmer, it doesn’t even have to be more than half vegetable production, but you are no longer a gardener.Farmers market right ? I remind people that Alan Chadwick was trained and worked many years in the UK as a “fine gardener”. I’d like to add my vote towards getting more respect added to the word gardener. The new gardening/farming movement.Bring the victory “garden”(not farm), sustainability back to everyone’s yard. We paced out and marked corners for the additional garden space yesterday.Our gardens here seem to be in constant battle with all types of animals. Rabbits such as the like of Peter and his cousin Benjamin. Deer, fox, raccoon, skunk, plus a variety of birds that are very happy here because of the organic chicken scratch on the ground. We fence these garden areas but still it’s constant defense. So our new area needs some hefty protection and the plan is to continue with more fencing around a large portion of the property, when we can afford to do this. This new garden space, hopefully soon it will have a better name, will connect our two large vegetable gardens together in a ell shape. We’ll need to move about 18 fruit trees to make a tractor accessible garden space. We’ll move the trees to the outer edges of the fence line where we’ll have a deep 20′ border of flowers and perennials and fruit trees. 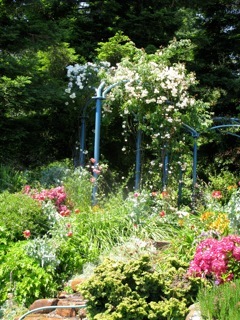 My roses can go there, the ramblers and the shrub roses with vegetable beds in the middle. 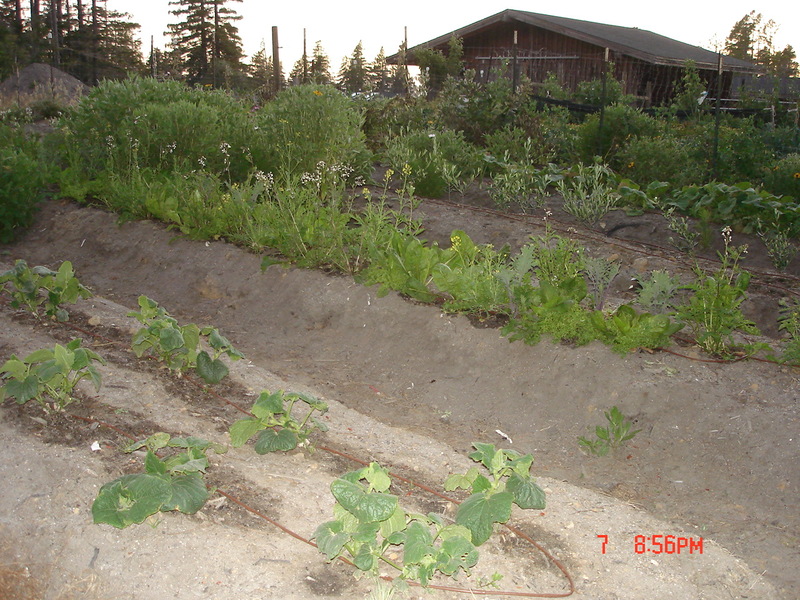 It’s harder here in California to have a tractor garden , none of the garden beds are dug up at the same time. It’s a constantly rotating cycle without hard frosts or snow to periodically kill it all down. The season here never really ends. So no rototilling a large swath that get’s planted from April till October. It’s year round for us here, baby. It seems in every garden I’ve planted that I’ve put in plants, shrubs, and trees, that often later get moved. I never regret this, on the contrary later when I expand my gardens I usually have some larger plants that help make the new areas look like they’ve been established for a longer time. I get shrubs and trees I like and sometimes they don’t work where I’ve put them. But at least they’ve been growing in the meantime. It’s easier than you think to move these although you are talking to a woman with a backhoe . The fruit trees we need to move are about four years old now and still transplantable, especially with equipment.I like to do this in the winter months when they are dormant or late summer when they are going into dormancy.Evergreen shrubs I usually move after the rains start. 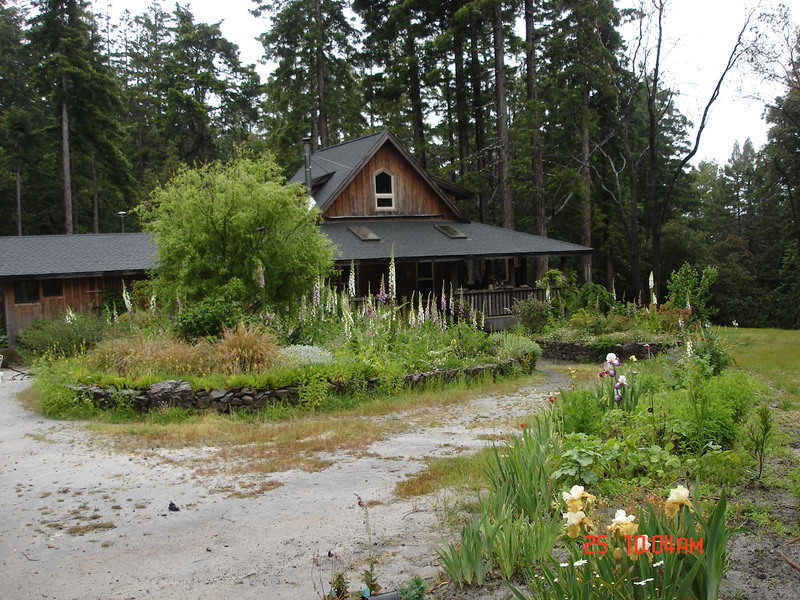 We will end up with about two acres of gardens in this one location with more around the house. I’ve been planting many shrubs and trees for the floral industry. I’ve found that the greenery and foliage is just as important as the flowers.Curly willow, Abelia, Weigelia, spirea, viburnums, osmanthus, English laurel, luma apiculata, proteas, hydrangeas, lilac, roses,Crabapples. Not to mention herbs, rosemary spilling down hillsides, oregano, sages.So many possibilities.Often I take cuttings of these plants to make it affordable, or small divisions. Other times I find a good deal on a small plant at a nursery. Or it’s a plant I purchased for a landscape job that just doesn’t fit or work. Sometimes friends are getting rid of a shrub or a tree, maybe it seeded in their yard. 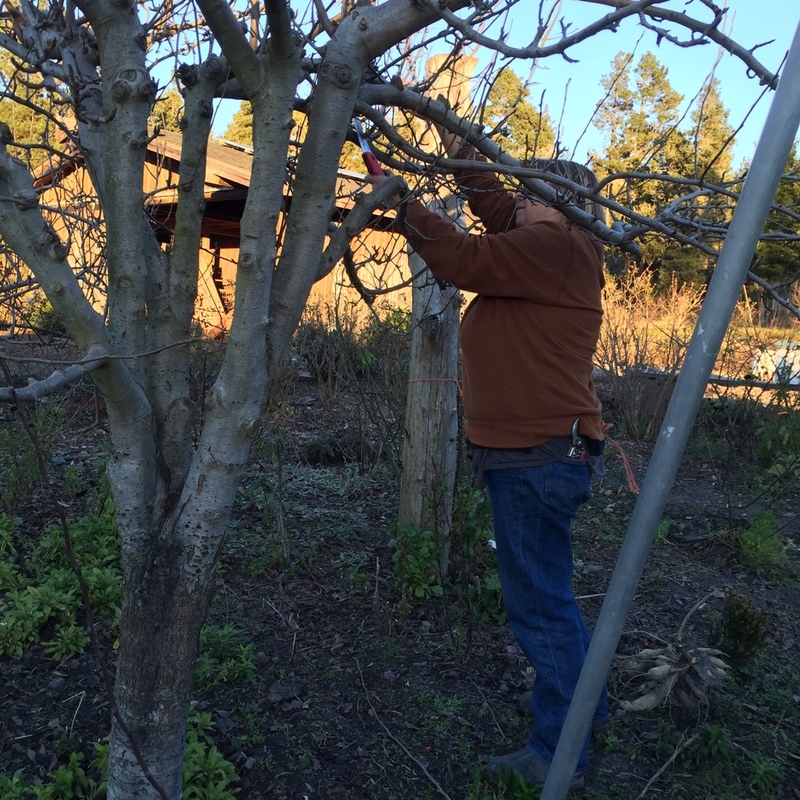 Recently during a wonderful Thanksgiving moment my Father in law, an old (sorry Pop’s) prune farmer, showed me how to bud fruit trees. This makes even more things possible, rogue seedlings, or old root stock can turn into a special tree. I’ve tried learning this from books, but so much better to get a real in-person lesson. Isn’t this why we need more jobs apprenticing ? Hands on learning. So I think that will be about as much vegetable production as we will be doing for a while.This should be enough to do a moderately sized CSA operation with flower production as well as, eggs and bread.Small perennial plants might also supplement our income although probably not veggie starts till we get a greenhouse going. I’ve been really happy to sell veggies to local restaurants . 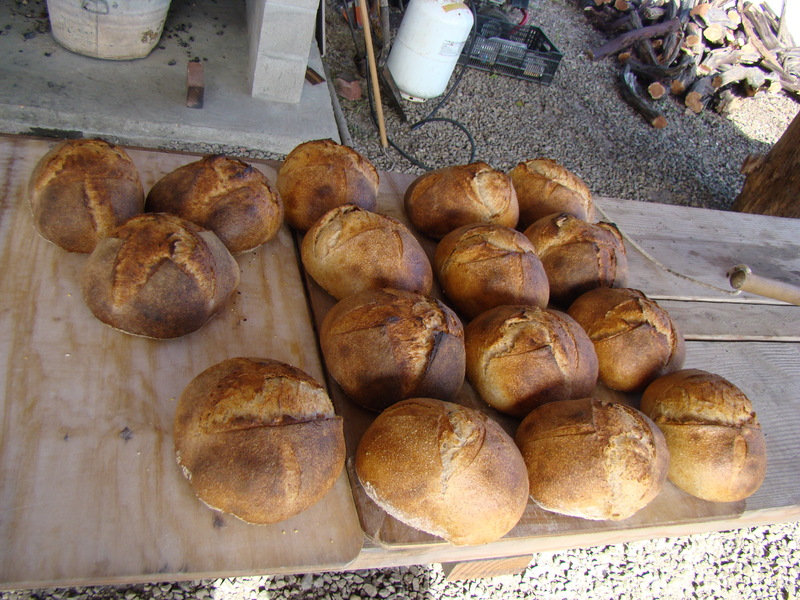 We will be selling bread in this year to come, although to legally sell it we have to make it in a commercial kitchen. There is one in our community center we can rent space in. So my new year plan is to grow and sell lot’s of good food. We will be making more CSA announcements on this site as to how you can buy a share of veggies. Locals if you want to discuss trades or labor for veggies contact us.Classes are also on the calendar for next year, to be announced. One of my favorite things about plants is the unbelievable abundance in nature. If you know, or if you look closely you see babies everywhere. 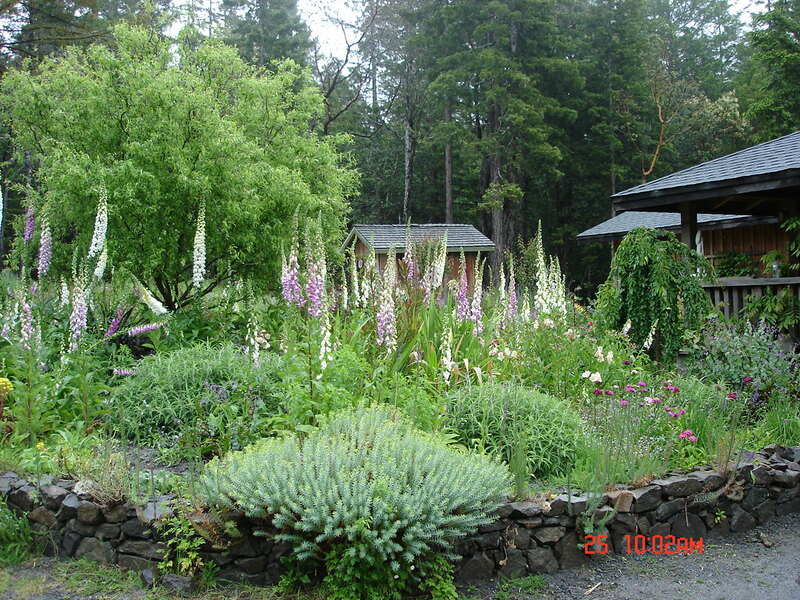 Seedling maples, sarcocca, digitalis, perennials that can be divided. Flowers that have reseeded in the garden. Pumpkins in your compost and other volunteers. Overgrown iris, huechera’s, sage’s, dianthus, daylilies, agapanthus that just need dividing. Then there’s the whole range of plants that can be easily propagated. Hydrangea, old roses(I don’t recommend cuttings from grafted roses, so much mosaic disease), viburnums, buddleia, willow, lavatera . Other plants can be readily propagated as hard or soft wood cuttings. The best time is October and November here in Northern California, by now in December you can still transplant and divide plants. But cuttings will just languish in cold soils and not start to root until it starts to become warmer and the days longer, that happens here about Valentines day. What I also love about that is later you remember where and when you took those cuttings. The coral bells from my grandmother’s garden, I’ve had in all my gardens. The roses growing all over the place started from cuttings. I have the rose Le Marque growing right now propagated from Mark Lappe’s yard about fifteen year’s ago. It is a huge rambler growing about 20 feet up his deck. My friend Sherry and I started it for our wholesale rose business, later I planted one in the garden I built at Odiyan. Now I’ve taken a cutting from that rose last year and it’s growing here in my yard. I always remember the rose it came from in Mark’s yard. Next I can offer it to his children for their yards.It’s the memories that makes gardens so special. Also now at a gift giving time a very inexpensive gift. One of the best books I’ve ever found on propagation is by the Royal Horticultural Society. I have an older version of this but have referred to it for twenty years. Very worthy book for your gardening library. Greg Lowry at Vintage Gardens, the worlds best rose nursery, recommended taking cuttings from blooming wood. That otherwise the subsequent plants would have less blooming vigor. I usually take a 12″-16″ piece cut from bud to bud. Newer wood seems to more readily root. The idea is to keep these plants alive until they root. They might loose leaves, especially if they are deciduous. I usually try to root soft wood cuttings outside in good garden soil. Right now I have an area in my vegetable beds. Lately I haven’t used rooting hormone, preferring not to use chemicals. My success rate is not as good, but I’m just rooting for myself now, I can always plant more. One time I visited my neighbor who was a well know plant woman in our area. Building a large ornamental garden at a time when people were still traveling up here in boats. She was 92 at the time and asked me for cutting of a dwarf hydrangea I had. These are very slow growing. I loved that enthusiasm and optimistic approach. I later worked in this garden after her death and the hydrangea is there. Growing slowly.